Consistency of approach is one of the most important aspects for photography. You will only notice it when it’s lacking, when there are gaps, when you somehow notice that something doesn’t seem to work properly. In contrast, when it’s well done you are unlikely to notice it. As a matter of fact, when it’s done well, the consistency of the artist’s approach will contribute to entrancing you, to making whatever you’re looking at work. There are many different aspects of photography that are part of the consistence of approach, the aesthetic being one of them. Regardless of whatever you do as a photographer concerning the aesthetic, there has to be consistency to how you approach it. It’s often very hard to explain what this means, while it’s very easy to see (or feel) when it’s not working. I had to think of this aspect of photography when looking through Martin Boyce‘s A Partial Eclipse. 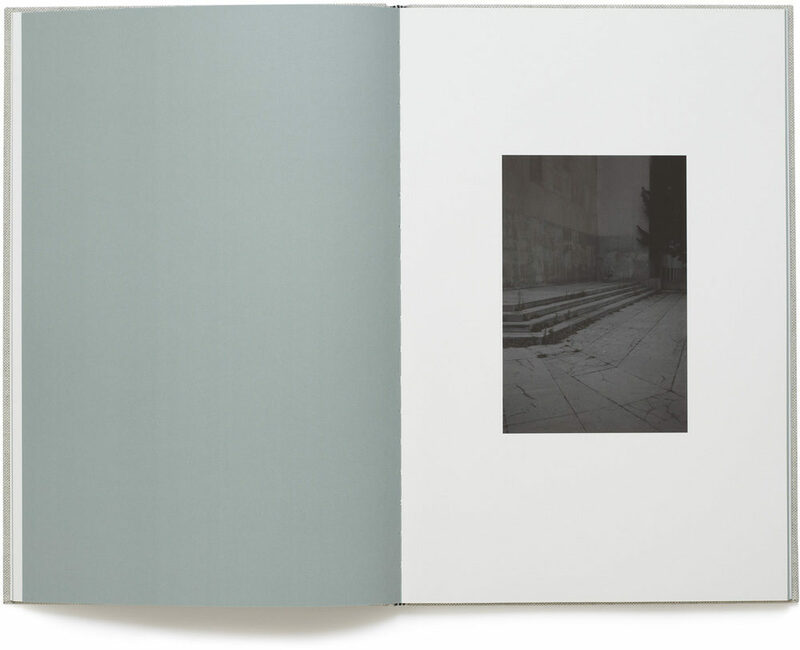 I felt that to explain what a consistent approach might mean for a photobook, in the future I’d use this book. It has a definite MACK feel to it – the coarse cloth used for the cover, the photographs occupying a fairly small portion of the pages’ real estate. In addition, the paper choice and printing are quite unique. 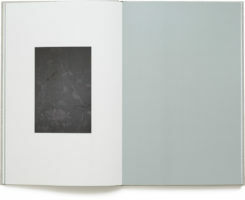 Each page has a glossy side, upon which the photographs are printed, and a matte grey-green reverse, which is left blank. With a few exceptions, most images face a blank page. 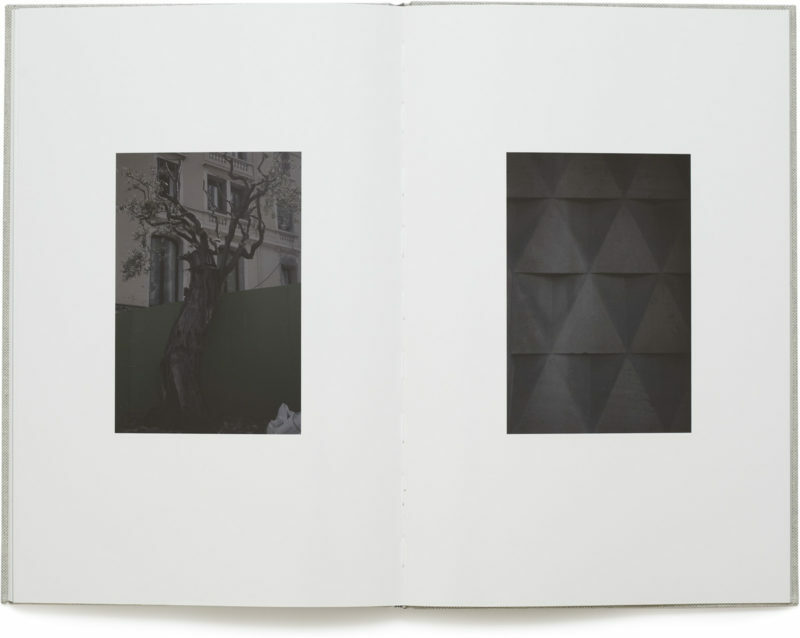 In addition, the tonality of the photographs themselves mirrors that of the matte pages. Nothing is – or feels – off; you’d notice that straight away, given the fairly unusual aesthetic. You’re transported into a strange world, a world you’re familiar with and not familiar with at the same time. All good photography does that – after all, why bother looking at that, which you already know so well? But here, the strangeness of the world somehow becomes apparent, maybe a tad too apparent. I’ve been asking myself whether you could not, in fact, create a body of work or book that was too consistent. I suppose what this might come down to is that while I feel seduced into a strange world, I am being made too aware that I am being seduced. That man behind the curtain is doing a great job, but at the same time I am very much aware of his presence. Mind you, I might just have looked at too many photobooks too carefully, analyzing how they work. 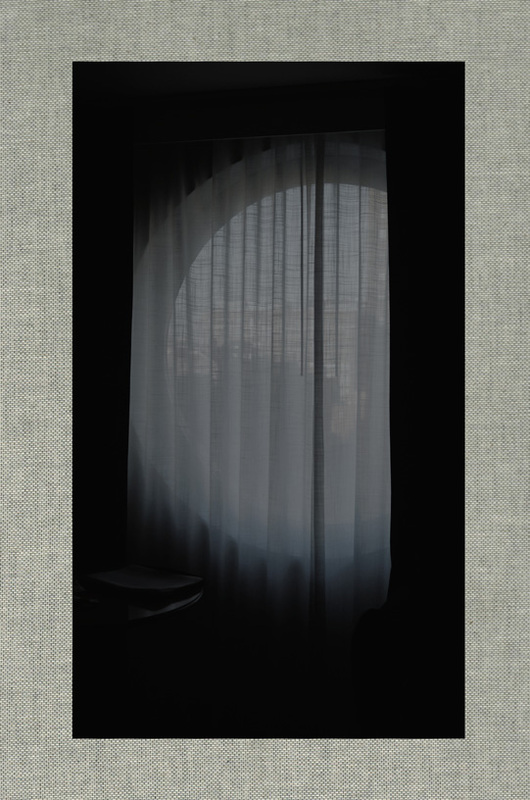 That aside, A Partial Eclipse had me think of Dirk Braeckman‘s work, as well as Alessandro Imbriaco‘s Der Garten. And this is all based on what I feel in these photographs, Boyce’s and Braeckman’s and Imbriaco’s, not on what they (purport to) show. I will admit I tremendously enjoy those bodies of work, because they make me feel things more than they aim to show me. I recently noticed that I’m less and less interested in photography’s literalness, and more and more in artists working with photography despite that literalness. In the world of photography – that strange, conservative, somewhat autistic islet in the archipelago that is the art world – Boyce, a sculptor who won the 2011 Turner Prize, might not be widely known. This might work as much for as against the book: People might not consider looking at the book, given they are unfamiliar with the name. But when they look, they will come without expectations, thus making it easier for the book to do its magic. Let’s face it, expectations are the pest: You know some earlier body of work, and automatically, you wonder how it compares to something new. I hope there will be a lot of people who look at A Partial Eclipse. It’s a seductive book of a strange world, a world that exists right next to ours. Images of spreads from the book kindly provided by MACK - thank you!